We’ve heard all the horror stories about children left unsupervised racking up enormous bills via the iTunes App Store. While that may turn off some parents from giving their kids free rein when it comes to the iPad or iPhone, there is no doubt that these gadgets can serve as useful educational tools. My two nephews – aged 8 and 2 – have made impressive strides in learning in the past years, and I cannot deny that having access to the iPad has played a huge role. Judging from what I hear from other parents, the same thing has happened with their kids. Parents already have so much to think about – school, not to mention after school care, eating habits, health issues, tantrums, safety (online and offline), etc. – that adding iTunes bills to the list should really not be. With proper supervision and the right choice of apps, you ought to be able to take advantage of what technology has to offer. To help you with that, here are my top 4 educational apps for toddlers. Give them a go, and see how your kid/s get along! Developed by Callaway Digital Arts, Endless Alphabet is a paid app, but your $4.99 is well worth it. 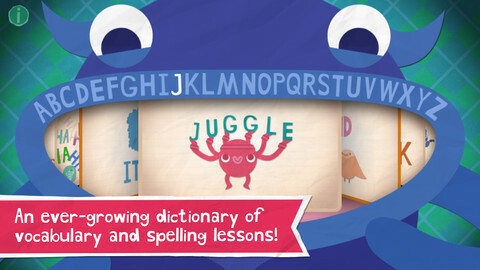 There are many educational apps focusing on the alphabet – after all, we want our kids to learn that as early as possible – but this app is so much fun, combining monsters (which should not be feared!) and a good choice of words. The app also helps in learning how to spell and read – kids get to drag letters to form words, and the animation is truly eye-catching. When it comes to educational apps, numbers are always part of the list. 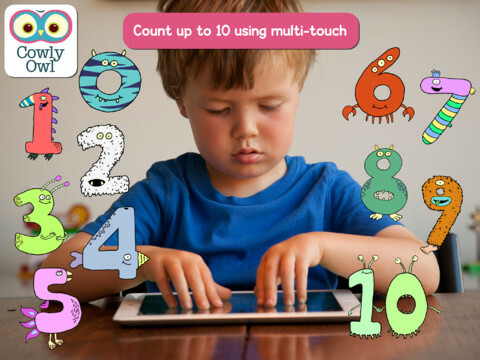 Little Digits adds a brilliant spin to learning numbers for toddlers. More than simply presenting digits, it takes advantage of the multi-touch capabilities of the iPad: it displays the number based on the number of fingers that are touching the screen! Other features include counting 1-10, learning number order, addition, and subtraction. Price tag: $1.99. Are toddlers too young to learn all about cooking? Definitely not! My 2-year-old nephew loves food (when he feels like it, I suppose), and he likes playing around with this app. Toca Kitchen has four characters – with an appetite – and children can play with food, cook, and feed the characters. It could also be a tool for children who are difficult to feed. Price tag: $2.99. 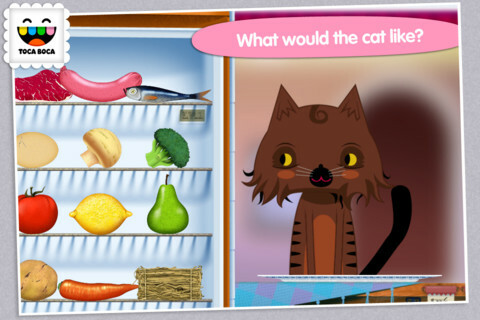 Another staple in the educational apps barn – animals. Who doesn’t teach their kids what sounds the animals make? This app is a lot of fun, not only for the kids, but for parents and caregivers as well. As the name implies, there are 3 games in the app – Sticker, Memory Game, and Animals. If you want to have even more fun making animal sounds, this app will do the trick. Only $1.99. For sure, there are many other educational apps out there, but these 4, I can vouch for. They may not be free apps, but the small price tags attached to them will make you – and your kids – happy. Michael Liam is a professional blogger that provides information on after school care. He writes for The Learning Experience, a leading after school program with locations nationwide.